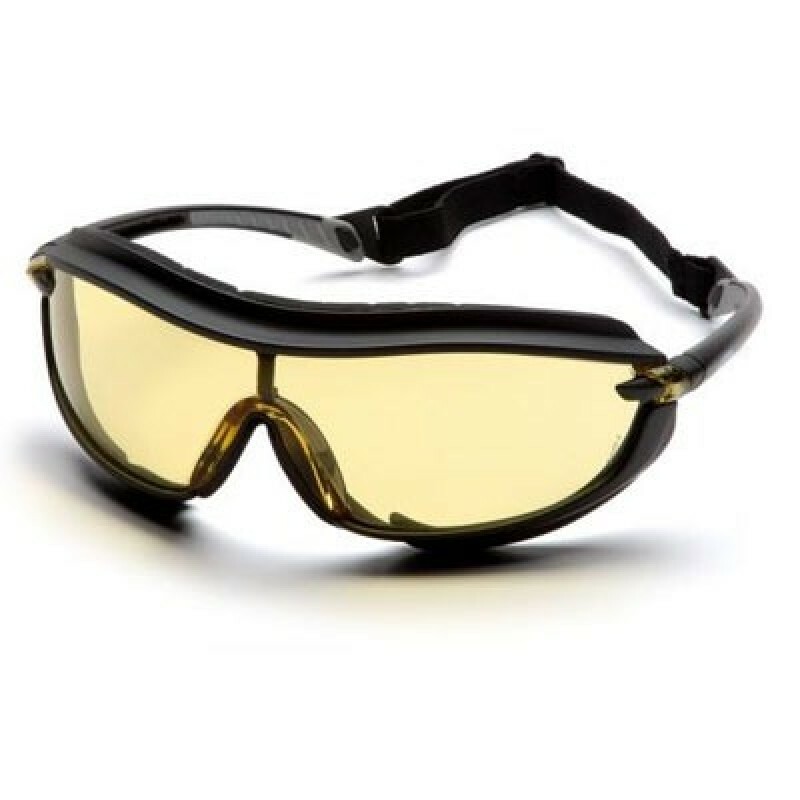 Pyramex XS3 Plus Goggles are the new look in safety. Features include a sports-style look and slim unique temples with co-injection temples tips for ultimate cushion comfort. Foam padding and clip on cord option provide a tight seal to keep out dust and airborne particles. XS3 lenses are coated for superior scratch resistance and provide 99% protection against harmful UV rays. Lens: Amber - Commonly used indoor for low light applications. Enhances contrast.